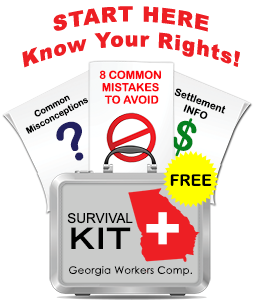 What is Two Year Old Case Worth in Settlement if I Have Returned to Work? I was injured in a car accident in Dec. 2004 while on the job. Workers comp accepted responsibility and paid my medical and PT expenses. Extensive injuries included broken femur, broken (upper) arm, fractured liver (which required surgery for continued bleeding), broken ribs, punctured lung, etc. Spent 24 days in ICU. After several months recovery at home, Dr. declared me at 7% disability, and worker’s comp paid several months worth of benefits based on that rating. Now it is 2 years later and while I am able to work, I still have little strength in my arm, and I walk with a limp (and occasionally my leg gives way and I nearly fall). Some days are pretty painful, although I manage to hold down a full-time job. One year ago, they asked if I wanted to settle (not naming a figure) and I declined. Nothing else has been mentioned. Can you give me a vague figure for settlement for these type injuries and also will my time run out for settlement? 1) the best time to settle is when there is maximum uncertainty in your case. Perhaps you are facing surgery, which would mean unknown medical costs and unknown lost wage benefits payable. Perhaps your doctor is proposing conservative treatment in the form of several months of physical therapy after which possible surgery. As your lawyer, I can make the argument that the insurance company’s potential financial exposure might be XYZ dollars. If your doctor has released you back to work or if your doctor has already performed surgery and you are participaing in an uneventful rehabilitation, there is less uncertainty and less reason for the insurance company to value the case at a high number. 2) insurance companies look at their potential financial exposure when deciding how much to offer you in settlement. They don’t care who you are or what you did. They are only concerned about money. If we can convince them that they may be on the hook for hundreds of thousands of dollars, they will offer substantially more than they would if they calculate their exposure at a few thousand dollars. Here, my biggest concern has to do with the age of your case. First, you may have a statute of limitations problem. Second, you would have to link your current problems back to an accident that happened two years ago, despite your return to work. The insurance company will argue that any current problems may have to do with your post-December, 2004 work (or perhaps non-work) activity. Returning to work, as you may have guessed, can create issues with settling a case. They have already paid you PPD (permanent partial disability) so you would need another doctor to give you a higher PPD rating that what you already have. I think that your case has some settlement value, but perhaps not as much as it would have had in 2005. If you want to call me to discuss, please feel free to do so. I totally disagree with this opinion ! For this reason ; If you are at a point of such uncertainty as to your HEALTH ! Because, I hope your concerned with your overall well being FIRST ! Not sum SETTLEMENT ! If NOT OH WELL :0( BUT I HOPE SO!! Let’s look at this case ! Your lawyer shows the insurance company that you may need hundreds of thousands of dollars of surgery,treatment,testing, medication, etc. etc ! YES, THEY ARE ON THE HOOK !! However, they have been able to get off the HOOK ! SAD, BUT TRUE ! What is also pathetic is this Claimant has a 7% PPD rating ! And the Doctor is still practicing medicine and I’m 100 % his practice has flourished ! I recommend that you take a look at the doctor who gave you this rating . WC Doctor’s take a HIPPOCRATIC OATH and it shows ! Here’s the Quote once again in case you missed it!! Extensive injuries included broken femur, broken (upper) arm, fractured liver (which required surgery for continued bleeding), broken ribs, punctured lung, etc. Spent 24 days in ICU. After several months recovery at home, Dr. declared me at 7% disability, and worker’s comp paid several months worth of benefits based on that rating. Could you imagine all of this happening to YOU and then just get a 7% PPD ! OBSURD ! Here the deal ! You are entitled to medical period ! However, what you are entitled to alot of time you don’t get in WC! Now, your lawyer goes to the Insurance company ! As your lawyer, I can make the argument that the insurance company’s potential financial exposure might be XYZ dollars. Let’s look at this case ! There argument is saving to the insurance company ! Ok , What is there to be learned here ? Exposure or Coverage ? Some of you just MISSED IT ! YOU HAVE A HOLE IN YOUR UMBRELLA ! GET IT FIXED ! How can you have Coverage and Exposure ? These terms are interpeted differently by different people! Here’s one! Coverage is what is required ! Exposure is when they are required ! HOW STRANGE IS THAT !